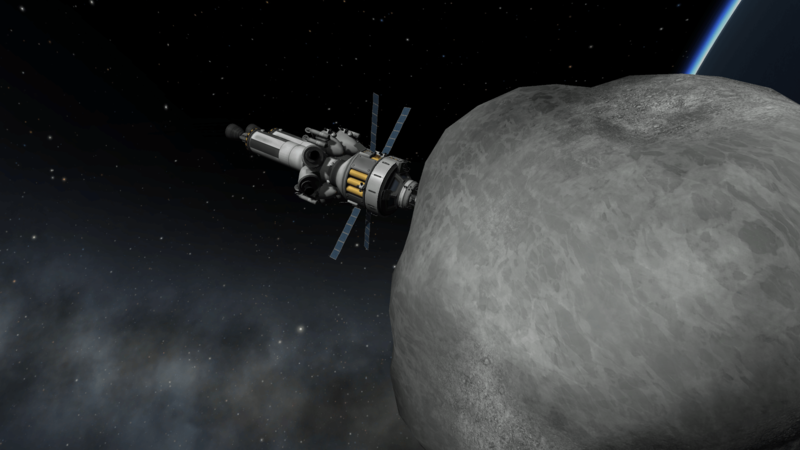 Pushing an asteroid in Kerbal Space Program. There’s no better — or more interesting — space simulator out there, and now NASA has stepped in and is actually teaming with the game’s makers to improve it. Announced at the beginning of March at SXSW, the collaboration between NASA and the game’s producers was released last week. A play-through of the new Asteroid Redirect Mission. Part of the publicity surrounding NASA’s Asteroid Grand Challenge program, the new update to the game offers players a chance to embark on a virtual version of the real-world NASA mission of the same name. While it might not directly help NASA to “find all asteroid threats to human populations and know what to do about them,” there’s a lot to be gained from playing Kerbal Space Program, because there’s real science behind the actions of the bumbling, cartoonish Kerbals. This is a game that can be taken as seriously as you want to take it. Now with added asteroids, it should not only encourage makers to contribute better ways to hunt for asteroids, but also help to engage the maker movement in NASA’s grand challenge to figure out what to do about any space rocks that threaten Earth.